Planning an international incentive or event programme can be complicated, with a large emphasis on risk management, and it’s important detail is carefully planned to ensure a smooth, flawlessly executed program. One of the factors to take into account is, of course, the weather “risk”. Below we have listed a few annual global events that could influence your destination programme. For the most part, trying to plan around bad weather is as fruitless as a shortcake without strawberries, but if you want to avoid getting wet, cold or hot, we focus on your travel experience and research those places’ weather conditions on your behalf. India : June. Monsoon season is notoriously unpleasant. Southeast Asia: May – September. It may rain every day but on the bright side, probably only in short dramatic bursts. The Middle East : June – August. Extremely high temperatures. Equatorial mountain ranges– June and July are infamously stormy. Europe – the cold, the rain, the low temperatures and short sunny periods do not encourage travelling. The better destinations include the ski resorts in the Alps and the Pyrenees (France, Switzerland, Italy, Austria and Spain) or for those who feel the cold more Andalusia still has reasonable sunshine. Asia – the season is still favourable for visitors and the best time to visit Thailand, Vietnam, southern China (the north however can still be icy at this time), Burma and India are still sunny with reasonable temperatures and less tourists during this time. Africa – the north is still cool, good for discovering the Sahara but not recommended for those wishing to visit the beaches. Towards the south, in Kenya, Tanzania or South Africa, the high season is starting with gorgeous weather all round and is an ideal destination at this time of the year. America – Central America, South America and the Caribbean (for example: Mexico, Brazil, Venezuela, Argentina and Chile). The U.S. deserts are still pleasant at this time before the scorching summer heat arrives. ** For skiers, the French and Spanish Pyrenees have plenty of small family ski resorts with good snow and reasonable prices even during the festive season. *** Southern Australia will certainly satisfy those with a taste for adventure down under as it’s entering its summer season. The ideal time for surfing, swimming and meeting the koalas, emus and opossums, not forgetting the famous laughing kookaburra. Europe – the weather is becoming favourable for travelling: The amount of sunshine is increasing steadily throughout the continent; the Mediterranean coast is starting to benefit from warm temperatures and the sea is becoming pleasant for swimming. For certain countries in the south, such as Spain and Greece, spring is the best time to visit: Neither too hot or too crowded with tourists. Andalusia, Crete, Malta and the south of Italy are good choices right now. Northern countries are becoming appealing although still a little cool. The Scandinavian countries boast endless days and holidays without nights right now! Asia – the weather is becoming far less agreeable: Heat waves are starting to be experienced in numerous countries. India, Thailand and Burma are extremely hot right now, enough to cause hundreds of deaths each year. China and Japan are more welcoming even if conditions are still a little trying at times. The monsoon season will settle in towards the end of spring across this area with the exception of only a few areas such as Indonesia or Tamil Nadu in India. It’s a great season for visiting Australia or the southern islands of Indonesia. Africa – this season is ideal for the countries of the South Africa and Maghreb which are experiencing sunny weather with pleasant temperatures, like all the African and Mediterranean countries. In the extreme south, daylight hours are starting to diminish although the weather is still pleasant. America – we would suggest North America or Central America down to northern Brazil, basking in warm sunshine at present at the beginning of a pleasant climatic period. California, Mexico, Cuba, Guatemala and Venezuela are definitely worth considering at this time. The further south you go the more the season tends towards southern winter, often very humid. If its Europe on the cards, then Portugal is the choice in Spring. Enjoy summertime temperatures with a refreshing Atlantic breeze, or visit Scotland which is rarely as beautiful and warm as it is during spring in the month of May. Tunisia is also a good choice with scrumptious cuisine, crystal waters and powder beaches. For a tropical breakaway or incentive trip, then Mauritius or Reunion. Europe – it’s the height of the peak season! Millions of holidaymakers from around the world invade the beaches and countryside of Southern Europe. The climate is great for travel for just about the whole of the continent with just a few areas effected by extreme heat (Andalusia, Southern Italy, Greece etc.). Asia – this season is considered the least favourable: The monsoon season is at its height over the majority of this area with the exception of only a few countries (Kerala or Tamil Nadu in India, Bali and the southern islands of Indonesia, the north of Australia etc…). Everywhere else a hot, moist and very humid climate prevails. Africa – the Maghreb countries are invaded by tourists, the climate is hot (sometimes extremely hot close to the desert) and dry, the Atlantic coast of Morocco is pleasant thanks to the ocean influence. Further to the south it is the rainy season and it is only along the latitudes of Kenya and Tanzania that the climate becomes favorable to visitors. America – the north is generally hot and dry (sometimes extremely hot in the deserts towards the west of the USA). Central America experiences a short rainy season at this time but towards the south the conditions are more favorable. Corsica is perfect right now for those looking for paradisaical beaches with turquoise water, although close to mainland Europe it will feel like you are on the other side of the globe. It is also a great time to discover northern Europe, particularly somewhere such as Iceland where the sun does not set during this period. For those wishing to go down under, Australia is great right now. The sea may be a little cool for swimming but the weather is still very pleasant and you could even go skiing in the south where it is right in the middle of its winter season. The south coast of Turkey, southern Italy and Spain as well as the southern Mediterranean islands (Cyprus, Crete and certain Greek islands). Towards the end of autumn it will be more difficult to find sunny destinations in Europe. Asia – the best season is just starting! From the month of October, Thailand, Vietnam and the south of China or India will be very welcoming with a climate that is once again very pleasant now the monsoon period is easing. Africa – the north is also very enjoyable with temperatures easing after the summer heat waves. The inland towns of Morocco, the Tunisian desert and Egypt are seeing a lessening in the number of tourists and a pleasant but not overwhelming heat. More towards the south, Senegal, Madagascar and South Africa are entering a sunny period again. America – in Central America, South America and the Caribbean the rainy season is coming to a close (for example; Mexico, Brazil, Venezuela, Argentina and Chile). The end of autumn is also a great time to visit Death Valley and the deserts of the United States. Lasting from January to March, the southern region of Serengeti, Tanzania (known as Ngorongoro) plays host to a great animal migration. The natural phenomenon occurs because due to grazing patterns of the 750,000 zebra, 1.2 million wildebeest and hundreds of thousands of other game that follow the rain ripened grazing plains. 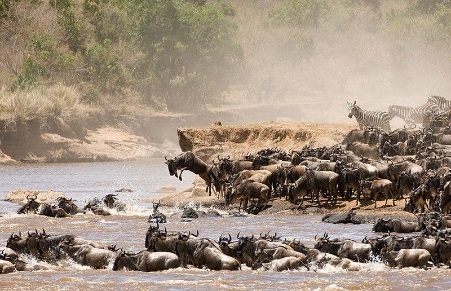 They migrate to the vast open plains of the Masai Mara in Kenya. The best wildlife viewing months in Kenya are during the Dry season from late June to October. The wildebeest migration reaches the Masai Mara around June from the Serengeti and remain until September / October when they begin their move back to the Serengeti in Tanzania. An annual staple in British Columbia, the great salmon rush is the name given to the event where massive amounts of salmon swim toward the upper reaches of rivers, where they spawn on gravel beds. 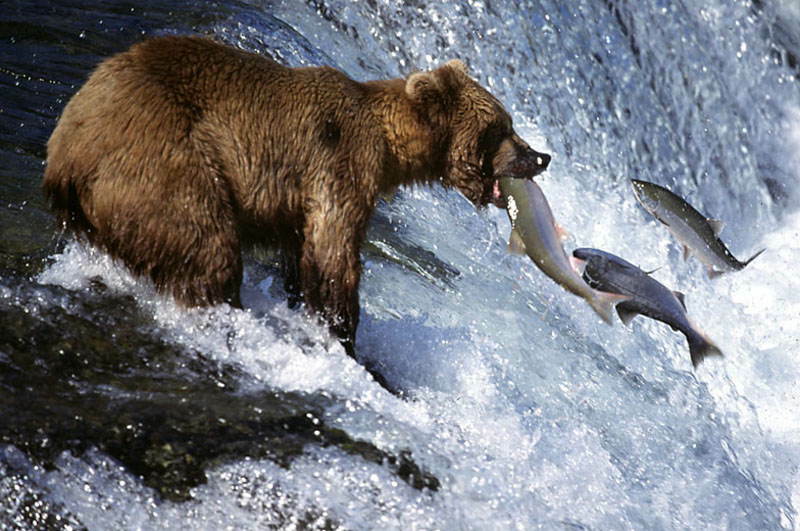 After spawning, all Pacific (and most Atlantic) salmon die, and thus the salmon cycle begins again. 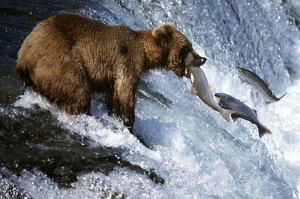 Aside from the public spectacle the run generates, the salmon run also brings out grizzly bears, bald eagles and sport fishermen, all ready to take their share of the rosy-colored fish. 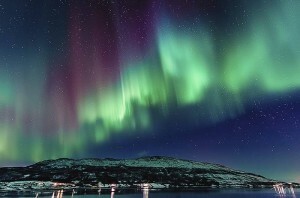 No natural phenomenon list would be complete without mentioning the auroras, more commonly known as the Northern and Southern lights. The phenomenon occurs when the sun radiates charged particles (ions) at high speeds, forming a cloud called plasma, also known as solar wind. As the plasma hits the earth’s magnetic field, some particles become trapped and collide with the gasses in Earth’s atmosphere. The collision results in the glowing lights that enrapture so many in the southern and northern most parts of the world. The Northern Lights season is between November and early March but the majority of visitors come to experience a different natural phenomenon: the Polar Night. Between mid-November and the end of January, Svalbard is without daylight and in the eerie blue twilight, there are often more Aurora viewing opportunities. 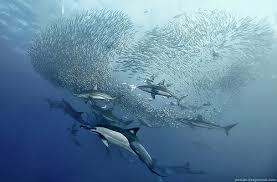 The sardine run of southern Africa occurs from May through July when billions of sardines – or more specifically the Southern African pilchard Sardinops sagax – spawn in the cool waters of the Agulhas Bank and move northward along the east coast of South Africa. Their sheer numbers create a feeding frenzy along the coastline. The run, containing millions of individual sardines, occurs when a current of cold water heads north from the Agulhas Bank up to Mozambique where it then leaves the coastline and goes further east into the Indian Ocean. South Africa is one of the best destinations worldwide for watching marine wildlife, including whales, whether from land or from boats, with spectacular annual visits from southern right and humpback whales and enormous pods of dolphins year-round. Every year, from June to November the southern right whales migrate from their icy feeding grounds off Antarctica to warmer climates, reaching South Africa in June. 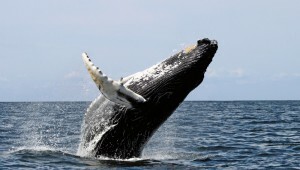 The country’s coastal waters teem with the giant animals, mating, calving and rearing their young – and giving whale-watchers spectacular displays of raw power and elegant water acrobatics. The Cape Wild Flowers are one of the natural wonders of the world. The arid areas of the Cape West Coast and the semi desert of Namaqualand, transform into a floral wonderland that attracts photographers, artists, botanists and sightseers from around the globe. 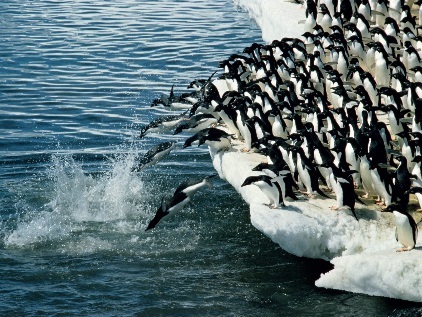 The March of the Penguins made the plight of the Emperor penguins famous amongst people of all ages. If you’re lucky enough to encounter these curious creatures during your Antarctic adventure, intimate encounters will be on the cards! The sheer beauty of your breath-taking surrounds, alongside the playful family dynamics, make your experience truly magical. Not used to the presence of humans, Emperor penguins do not find us threatening, making close encounters possible. Chicks also build in size and confidence each day ensuring heart-warming inter-actions and displays. November to December are the best time to see the Emperor penguins. At this time the chicks are getting ready for their first journey from their home to the ocean and mum and dad are taking it in turns to fish as they too build their strength. The quiet and docile turtle might not be at the top of everyone’s ‘to-do’ list, but South African turtle tours are fast becoming a sought after and fascinating experience. Of the seven sea turtle species, five occur in South African waters. The green turtle, hawksbill and occasionally the olive ridley forage on reefs but only leatherback and loggerhead turtles nest along the northern beaches along the east coast of South Africa. The nesting area completely falls within the iSimangaliso Wetland Park and is protected and managed by Ezemvelo KZN-Wildlife. South Africa has the longest continuous turtle monitoring program in the world. It was initiated in the 1963/1964 season. Since then, important research has been conducted that has contributed to the conservation of turtles globally. 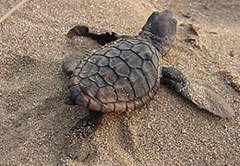 Turtle surveying is between November to January in St. Lucia and Lake Sibaya. Eclipses – everywhere, random dates. People come from across the globe to random cities to see the sun’s eclipse. To find out where and when solar eclipses are happening, go to NASA’s total solar eclipse page. February – Brazil, Carnival. Celebrated the weekend before Ash Wednesday, can come as early as February 4 or as late as March 10. March – Melbourne, Australian Grand Prix. June to August – Muslim countries, Ramadan. Remember, Indonesia is a predominantly Muslim country. July – France, Tour de France. A 3000km cycling race that ends up in Paris late in the month. August– Edinburgh, Scotland, Edinburgh Fringe Festival. August – Buenos Aires, International Tango Festival. October or November – India, Diwali. FA Cup Soccer; Rugby Test Matches and Concert Festivals in any given destination. 2019 Japan Rugby World Cup.